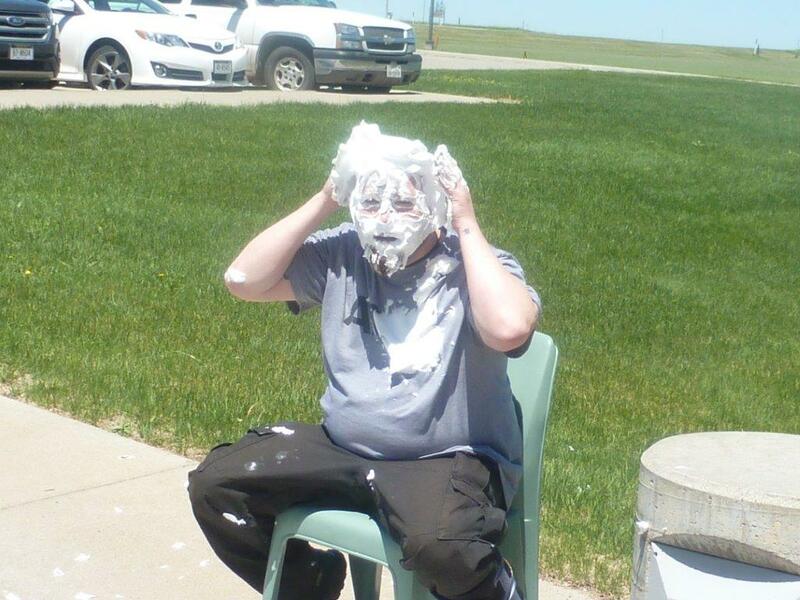 The Work Ethic Camp (WEC) closed out its month long staff appreciation activities for the month of May with its very first "Pie in The Face" throw. 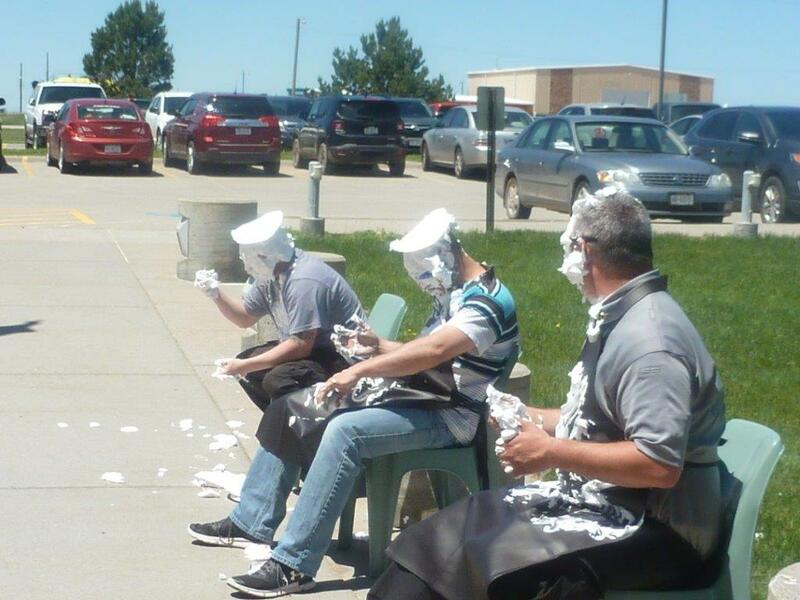 The WEC Leadership Team volunteered to participate and WEC staff voted for the top three. 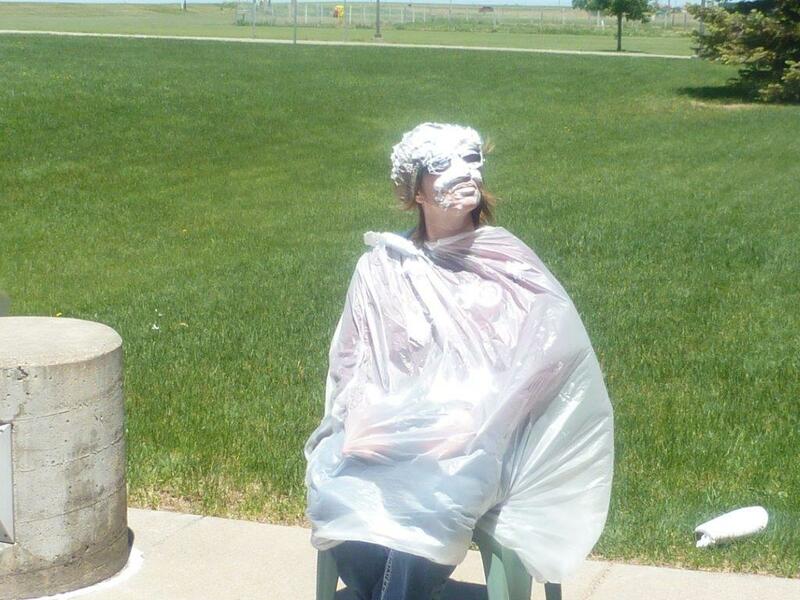 The voting ended up in a tie, so four ended up being selected to be the recipients of the pie throw. Thank you to the staff who spent many hours in planning and carrying out the month long activities which included, root beer floats pulled pork luncheons, dinners of their choosing provided to each shift, notebooks, stress balls, and many more. THANKS TO ALL OF YOU FOR ALL YOU DO AND TO YOUR FAMILIES AS WELL.